I’m a dairy farmer – get me out of here, to Australia! The Holstein Young Breeders (HYB) Australian Exchange returns for a third year, with a passionate HYB member awarded the trip of a lifetime down under in January. Boarding a flight to Australia in early January 2019 will be Georgina Moody, a member of the South East HYB Club. A member from a young age, Georgina has enjoyed the different experiences HYB has given her, from Weekend Rallies, Calf Shows and training days to making a wide network of friends over the years. The month-long trip down under will see 19-year-old Georgina gain first-hand experience of its dairy industry. Her visit will include the National Dairy Youth Camp, staying on Holstein Australia member farms in three geographically diverse regions across two states (Victoria and South Australia), participating in the International Dairy Week (IDW) Youth Challenge and working with the Holstein Australia team at IDW. Georgina will also get to spend a day visiting Genetics Australia with a member of Holstein Australia. The trip is an all-expenses-paid adventure, completely funded by Holstein UK and Holstein Australia, and a once in a lifetime opportunity; a chance to gain knowledge and experience of other cultures. As part of the exchange, an Australian young breeder will come over to the UK in September to coincide with some of the UK’s leading dairy events, such as UK Dairy Day, the Dairy Show and the All Breeds All Britain Calf Show. Georgina Moody said: “I have had travelling to Australia on my bucket list for a number of years, so this is a dream come true and I am delighted to have been selected for this once in a lifetime experience. “I’m looking forward to gaining insight into the Australian dairy industry, including the different ways they run their dairy businesses in a country with a huge amount of space, which is very different from us here in the UK. Over the years Georgina has represented South East HYB Club at various events, including the All Breeds All Britain Calf Show and a number of Weekend Rallies. Supported by her parents and sisters she has learnt the art of showmanship, and how to congratulate those who are above her, even if it is her sisters! She enjoys the team spirit, working together as one unit and seeing the difference between the calf when it first arrives at an event through to it being turned out and presented in the show ring. 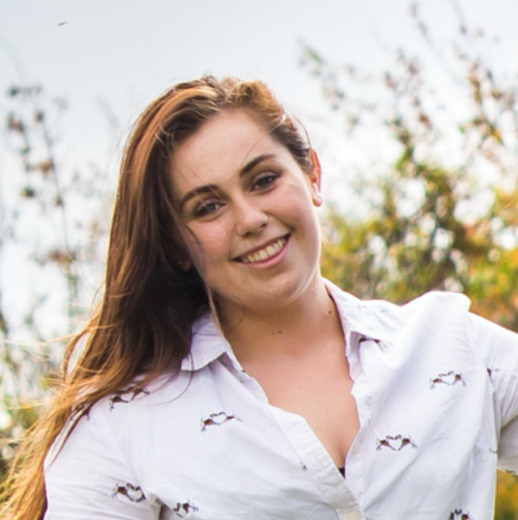 Georgina adds: “When I return from Australia I want to be able to use what I have learnt within our own family farm; it would be nice to use a bull choice or an embryo of a cow family that I might see out there. I am also excited about the experience I will gain in show preparation so that I can do my own preparation for the show ring. “One day I would like to register my own herd prefix to show and produce animals for the show ring. The other benefit is on a more personal level as I have never travelled on my own before, so this trip will be amazing for my self-confidence. Hannah Williams, Head of Events & Marketing at Holstein UK, commented: “HYB wishes Georgina an amazing trip of a life time down under. The Australian Exchange is a fantastic opportunity to see first-hand how the southern hemisphere dairy farming industry operates and the experience will be hugely beneficial - not only from a social and personal development point of view, but, most importantly, to develop breeding, husbandry, showmanship and dairy management skills.